Feeling a little wilted this season? Add green care to your self-care routine. Green care is defined as self-care where one engages in any activity that surrounds you in nature and green care is completely free. Research supports findings that working in, with and around nature has been shown to provide significant improvements to symptoms in stress, depression, anxiety and even isolation. Be it gardening, adding a fresh bouquet of flowers to your home, hiking, or chatting with a friend in the park, you don't need a green thumb to reap the benefits of green care. Being around plants acts as a stress reducer by aiding in emotional, psychological, and work stress recovery (Bringslimark, Hartig, Patil, 2009). It is found that being surrounded by nature or in viewable proximity to nature, feelings of interest, pleasantness, and calm are experienced (Wilson et al., 2008; Kam and Siu, 2010). 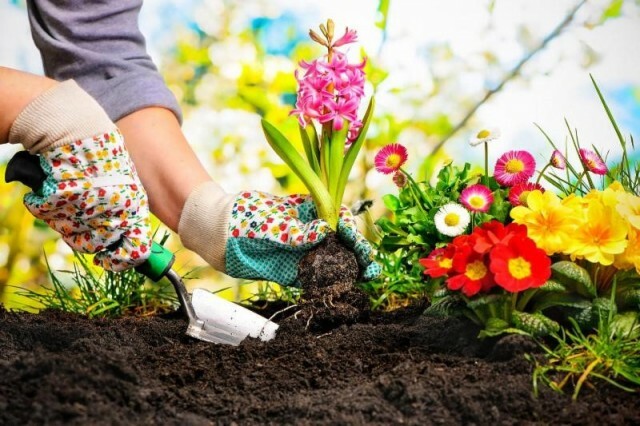 Since gardening and nature offer calming spaces of retreat, those who partake in green care show improved self-esteem and reduction in symptoms of depression (Wakefield, 2007; Kam and Siu, 2010; Sempik, 2010; Clatworthy, Hinds, Camic, 2013). Green care helps to create greater confidence over time, empowering self-esteem through the development of skills while reducing symptoms of anxiety (Wakefield, 2007; Kam and Siu, 2010; Clatworthy, Hinds, Camic, 2013). Community-based green care activities like gardening with friends or neighborhood clean-up, offer people a chance to improve leadership and trust. These abilities allow people to deal with anxiety and fear through team building (Wilson et al., 2008). Community gardening can aid in the development of social relationships by bridging the gap between self-imposed isolation and re-introduction to wider society (Wilson et al., 2010). Healthy social relationships provide a buffer to the harmful effects of stress; increased social contact is positively correlated with lower rates of mortality, risk developing cardiovascular disease and higher ratings of self-reported good health (Sandel, 2004; Wilson et al., 2008). Walking around the neighborhood or through the park. Getting familiar with propagation and herbs like basil and mint that will grow roots in a few weeks when cut and placed in fresh water. These plants can then be re-planted in a sunny space. Re-growing produce you already eat from their scraps like lettuce, green onions, potatoes, and more! Adding a plant to your home that is low maintenance like Golden Pothos or Philodendron. *special tip* this plant can be propagated as well and transferred to soil after roots sprout, so ask for a cutting from the Drop-in Center or a friend. Adding a fresh vase of flowers to your home. Creating a garden collage with beautiful photos of nature. A critical review of the experimental literature. Journal of Environmental Psychology,29, 422 - 433. Clatworthy, J., Hinds, J., Camic, P.M. (2013). Gardening as a mental health intervention: a review. Mental Health Review Journal, 18 (4), 214 -225. Kam, M. C. Y., and Siu, A. M. H. (2010). Evaluation of a horticultural activity programme for persons with psychiatric illness. Hong Kong Journal of Occupational Therapy, 20 (2). 80 - 86. Sandel, M. H. (2004). Therapeutic gardening in a long-term detention setting. Journal for Juvenile Justice Service, 19 (2). 123 - 131. Sempik, J. (2010). Green care and mental health: gardening and farming as health and social care. Mental Health and Social Inclusion, 14 (3), 15-22. Wakefield, S., Yeudall, F., Taron, C., Reynolds, J., Skinner, A. (2007). Growing urban health: community gardening in south-east Toronto. Health Promot Int, 22 (2), 92-101. Wilson, N. W., Ross, M. K., Lafferty, K., & Jones, R. (2008). A review of ecotherapy as an adjunct form of treatment for those who use mental health services. Journal of Public Mental Health, 7 (3), 23-35. Wilson, N. W., Fleming, S., Jones, R., Lafferty, K., Cathrine, K., Seaman, P., & Knifton, L. (2010). Green shoots of recovery: the impact of a mental health ecotherapy programme. The Mental Health Review, 15 (2), 4-14.